Tomi Ungerer. Courtesy of the artist. In Paris these days, you’re likely to hear anything hip or indie-flavored described as “très Brooklyn.” This sprawling New York borough, pigeon-holed for years as an unglamorous and overly family-friendly adjunct to the real center of things, Manhattan, looms a lot larger in the international imagination than it once did. It’s a global brand now, shorthand for a particularly desirable approach to living that resides in everything from Brooklyn Grooming shave kits to Jay-Z’s Brooklyn Nets. Within this frenzied expansion, of course, lies an irony of Prospect Park–size proportions. The Brooklyn lifestyle that everyone wants a piece of is, on the surface at least, the opposite of large scale. It’s local, not international; boutique, not mass; more nostalgic than forward looking. And yet, by some unavoidable rule of New York enterprise, the Brooklyn aura has proved irresistible to consumers far and wide. And so small-batch goodies like McClure’s pickles and Mast Brothers chocolate are now available on cultured avenues worlds away from BK. Lucali, an unassuming Carroll Gardens pizza joint, has a new branch in Miami. There’s a Brooklyn Brewery in Stockholm, a Brooklyn Bowl in London. You get the picture. Still, originals are what this borough does best, and that’s almost exclusively what you’ll find on the following pages. We spill a lot of ink on the food scene, which is unparalleled. 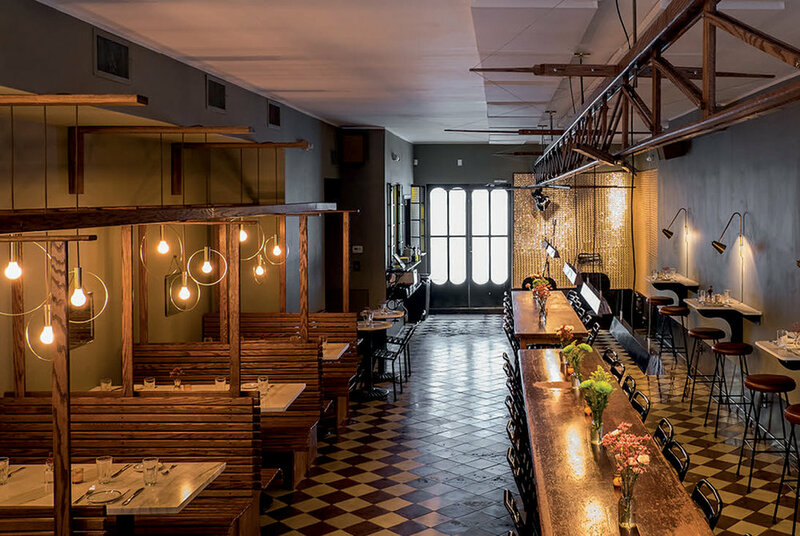 Sure, the exposed-brick and pressed-tin aesthetic is pretty familiar by now, and all those no-reservations policies may have lost their charm. But will quality ingredients and local sourcing ever get old? We doubt it. The Chef’s Table at Brooklyn Fare requires men to wear a jacket; dinner there, an unabashedly sophisticated smorgasbord of French and Japanese, will set you back about $300 a person. At Bamonte’s, a hundred-year-old Italian joint in Williamsburg, tuxedoed waiters serve red-sauce Italian on white linen tablecloths. Both places are worth visiting for completely different reasons. They’re also both remarkable in that they are total outliers in today’s talked-about Brooklyn restaurant lineup. Why is that? Both stand on a ceremony that is largely (and, for the most part, refreshingly) foreign to the new Brooklyn. This s true in the realm of food, clothes — whatever. Polished patinas here are as rare as fingerbowls. Anything artificial tends to be tucked out of sight. Brooklyn is a land of jeans and plaids, T-shirts and work boots. (Again, the exceptions — like Craig Robinson’s bespoke tailor shop in Williamsburg — only prove the rule.) The Brooklyn aesthetic is unfinished, or otherwise half decomposed; reclaimed wood is everywhere, furniture is being made from old machine parts, and restaurants brandish their informality like a badge of honor. Note the servers at Diner, who chat about and scrawl the day’s offerings onto your tablecloth rather than resort to anything as alienating as a menu. Nowadays, the A-word in Brooklyn is authenticity. We'd posit that the signature clothing fabric here is, if not denim, wool. You find it in the Navajo blankets at WP Lavori (the Italian heritage-menswear purveyors whose first American flagship is, tellingly, in Brooklyn) and the forties Mackinaw coats at Wooden Sleepers. 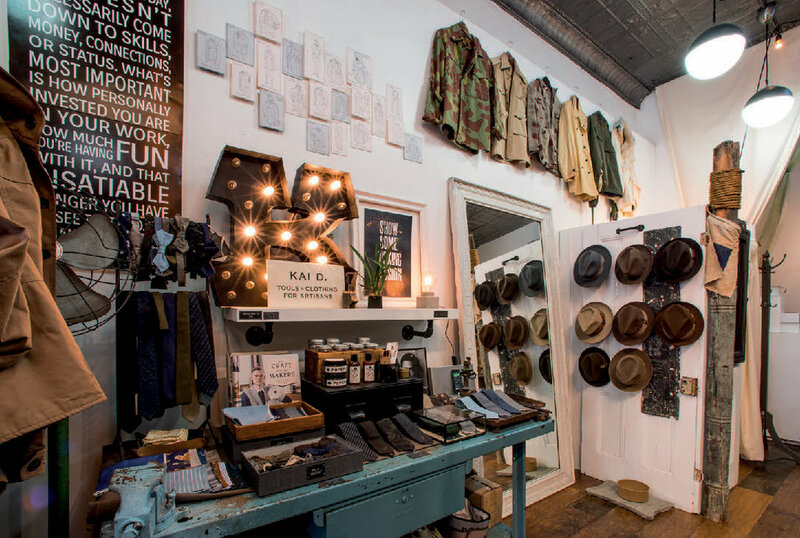 This top-notch vintage shop is in Red Hook, a water-front quarter poorly served by public transport and, as a result, overflowing with neighborly vibes. Red Hook is a bohemian village in the everybody-knows-your-name mold of the old ethnic enclaves, which can seem farther and farther away as Brooklyn gentrification advances. Old-school flavor is alive and well at classics like L&B Spumoni, where public school kids scream for ice cream, and Di Fara, where off-duty cops join international pizza pilgrims in a line that is nearly always spilling out the door. At these unselfconscious establishments in particular, quality and good vibes win out over what we might term “style.” Of course, rarely is it such a clear-cut victory. But even in fashionable Brooklyn, an air of unpretentiousness trumps overt displays of exclusivity. The result is a cozy sort of well-being for which there is no word in English, but certain Northern European cultures have given it a name. The Dutch call it gezelligheid, this warm sense of contentedness one gets from communal good living. It goes with natural-fiber clothes (like wool) that keep the elements at bay, and a suspension of our usual caloric anxieties. It’s an outlook, in other words, that welcomes the foie gras poutine at Mile End, an ingenious mix of high and low, Old World and New; the lovingly smoked Southern barbecue at Hometown; and the nostalgia-inducing egg creams at Brooklyn Farmacy & Soda Fountain. At the third outpost of her Brooklyn-based mini chain, owner Jennifer Mankin’s brand roster reads like a roll call of Brooklyn-guy favorites: sunglasses from Shipley & Halmos, button-downs and basics from A.P.C. and Paul Smith, bags from Want Les Essentiels, and accessories from Miansai. Weeklong wait times and lines out the door aren’t unheard of at this popular barber shop and bar, which also has a location in the East Village. The Hangover Remedy Shave lives up to its name, if only because it comes with a cocktail. We also like the Sweeney Todd, made of whiskey and frothed egg whites. A green-marble fountain crowned with a Napoleon statuette pours a dozen varieties of absinthe, but this New Orleans–style bar (and, now, serious restaurant) has a great list of craft beers, too. Sophisticated crudos are a highlight of the dinner menu; the oyster happy hour is one of the city’s busiest, and maybe to be avoided for that reason. 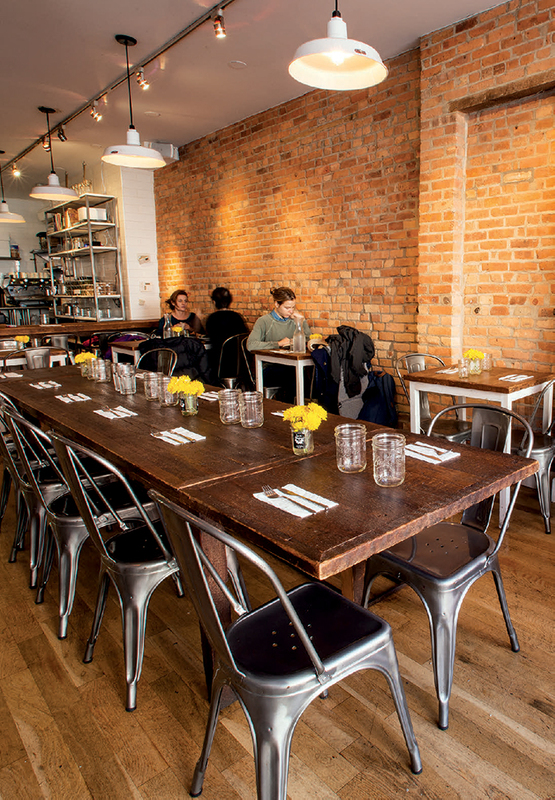 Open since 1998, Diner is a Williamsburg pioneer. A local hangout housed in a 1920 dining car, with sidewalk seating in warmer months, it serves up a different menu of New American dishes every day. The servers write it out on your paper tablecloth. No reservations. Bleu de Paname, Maharishi, Bedwin & the Heartbreakers, Delux, La Paz, and Shanana are among the clean-but-rugged menswear brands carried here. The Kinfolk tastemakers (and they are quite the international squad at this point) are true pros, as comfortable dealing with clothes as they are with bikes and graphic design. Named after a Bukowski novel, this 600-square-foot whiskey bar offers more appealing paths to drunkenness than the famously low-living writer ever took. There are more than one hundred bourbons and ryes on offer, all of them produced on American soil. The bar food here, including pulled pork and the chicken-liver-and-bacon on baguette, goes down easy. In a field packed with faux-old-school newcomers, this 115-year-old establishment (complete with phone booths and defunct cigarette machine) is that rare real thing. Bamonte’s is now in its fourth generation of family ownership, and has avoided the tourist crowds of its counterparts in Little Italy. The waiters are in tuxedos, the tablecloths are white, and the chandeliers are decidedly not ironic. Nor is the handmade ravioli, each one big as a fist. Classics like clams casino and prosciutto with melon go best with the Godfather atmosphere. This well-trafficked java joint now has its own roasting plant, in neighboring Bushwick. The well-tipped baristas rarely change; regulars swear by the pumpkin-walnut-apple muffin. This specialty shop will sell you one of the hippest T-shirts around, or just patch your board up, take your pick. Try on some of the African-made Bantu trunks, no two of which are cut exactly the same. Pilgrim’s house brand shares shelf and table space with brands like Patagonia and Birdwell, as well as some of the most artfully cut surfboards available on the East Coast. “Made for artisans,” this local brand proclaims, and it does indeed speak to today’s creative class with twill pants and moleskin work shirts. (Also, stray tools like hatchets and a nice selection of vintage belts.) Softened, stylish utility is the focus; a good number of the products are made in New York. Merchant Mills, Field Notes, Tatine, and Kajal London are among the brands. 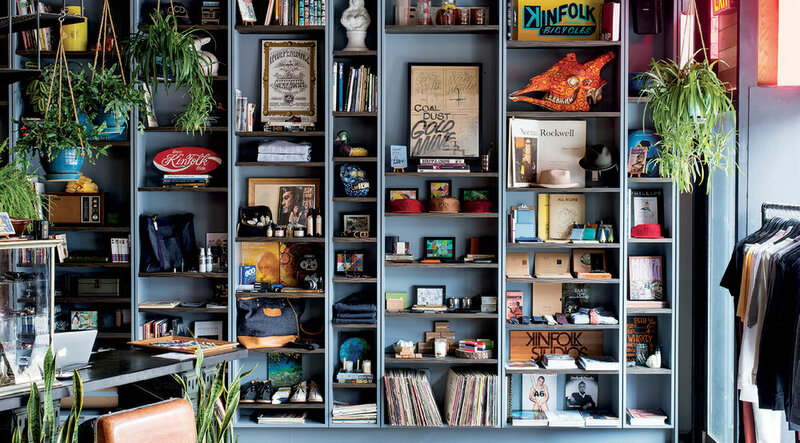 With its sleek café racers, art books, buzzing espresso machines, and high-end biker apparel, this shop has been called the motorcycle crowd’s answer to Saturdays Surf. It’s one of a few stores in New York to sell London-based Lewis Leathers, and a great place to look into getting a custom bike. 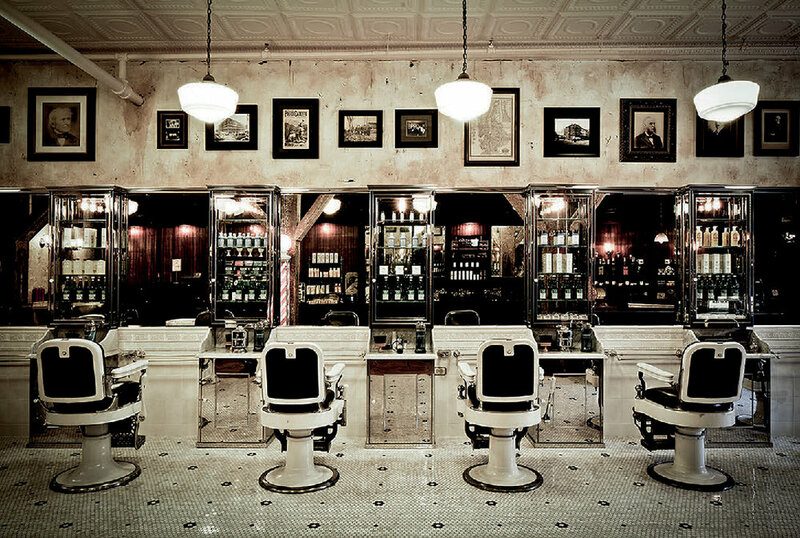 This heritage-style barbershop offers the works in brass-and-marble surroundings. (The pitch-perfect set design has inspired the likes of Scorsese to film here.) The shop peddles its own pomades and hair tonics, bottled in antique glass vials. Treat yourself to the hot-and-cold wet towel shave. The quality vintage menswear here includes varsity jackets and WWII–era bombers, but overall there’s a pervasive rock-n-roll vibe. It comes across in the old-school tees, the Chuck Taylors, the ample range of broken-in leather boots, and (naturally) the guitar-heavy in-store soundtrack. The antique and vintage textiles here add soul to any apartment. Floor coverings range from Swedish shag to Amish rag. The nineteenth and early twentieth-century Persian and Caucasian rugs are stunners. Don’t miss the indigo over-dyed patchwork quilts, which sell from $175 to $450. Shortly after opening, this nouveau steakhouse had the foodies raving that its meat was every bit as good as that nearby institution, Peter Luger’s. The hanger steak (“butcher’s steak”) is the go-to item. The panko-crusted beef back ribs, and pan-fried mashes also rock, and in a nice twist, there are several dozen wines available by the half bottle. The style is rustic-chic, with a shingled ceiling. It’s a brawny, industrial take on the midcentury aesthetic at this celebrated furniture store. The owners have teamed up with a crew of Cleveland-based experts to transform old machinery and factory equipment into handsome house fittings, from lampshades fashioned from old conveyor belts to beautifully constructed work tables. 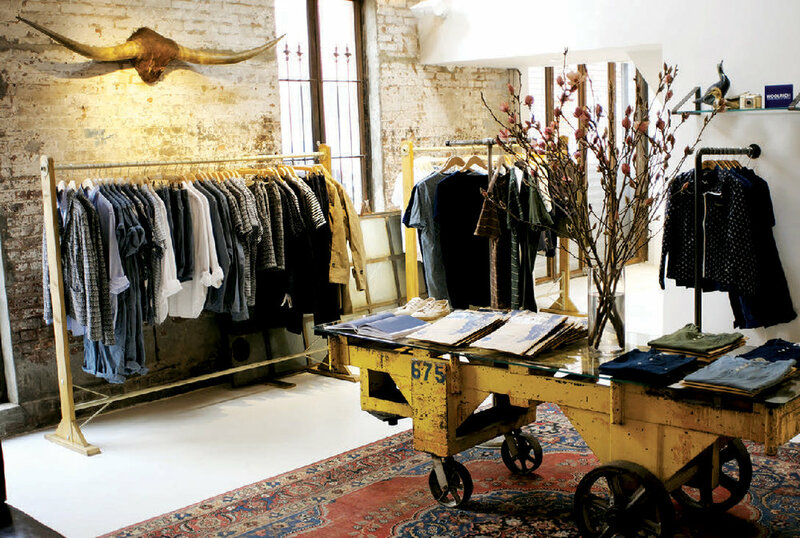 Heritage-inspired menswear by the likes of Engineered Garments, Our Legacy, Nanamica, Junya Watanabe, Ovadia & Sons, and Il Bisonte are among the international indie draws at this well-stocked store, which, until recently, did business under the name HW Carter & Sons. Gentry’s well-made house label is in the mix, too. The brunch waits here are shorter than they are at Diner, its sister restaurant next door. The food is pretty much on par, especially the oysters and irresistible chicken-liver mousse. Originally from Iowa, these artisanal chocolate makers might just have the sweetest factory tour in Brooklyn. There’s plenty to taste here, and a “brew bar” that serves up transporting chocolate concoctions in liquid form. The opening of this eight-story hotel two years ago was a watershed moment. 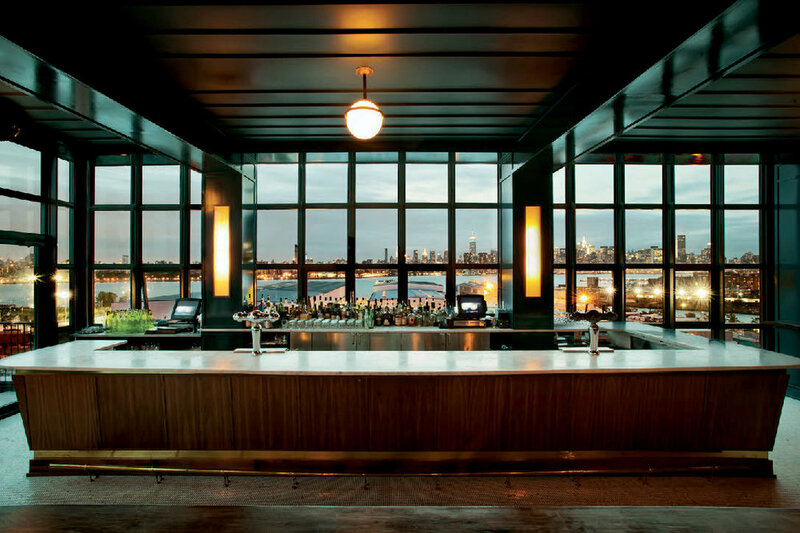 Even as it announced the neighborhood’s touristy turn, it gave locals a place to hang out on a grander scale — notably, the sixth-floor bar, with its superb East River views. The seventy rooms have big views, too, as well as heated concrete floors, reclaimed-wood beds, thirteen-foot ceilings, and seasonal minibar goodies. The festive late-night scene has been known to send visiting rockers reeling amid the pine beams and cast-iron columns. A go-to for denim repairs, this small, white-walled specialty shop sells extra-special jeans as well, from rare vintage specimens to custom pairs courtesy of owner Loren Cronk. Have a look at the bow ties, belts, and other accessories produced in collaboration with Cronk’s designer neighbors. Disco balls and old car pulleys hang from the ceiling here, and the menu is no less fun-loving. There’s an inventive twist on nachos, and delicious braised pork with green pickle butter; servers light a spicy tequila cocktail on fire before sending it your way. Flatbread comes out of a bright red wood-burning oven, as does the pizza dough enveloping slices of capicola and béchamel in house favorite, The Big Chef. Don’t miss out on that one. 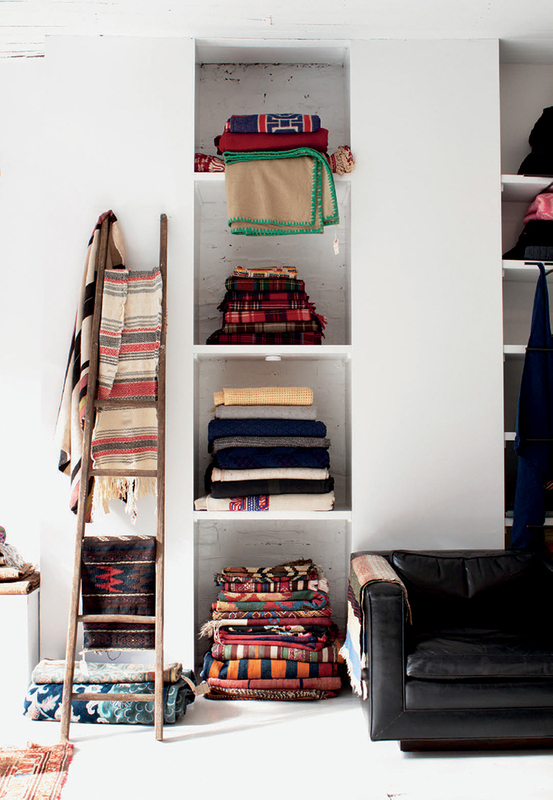 The folk rugs and other vintage items here are salvaged from industrial and farmhouse environs. Housed in a warehouse, this shop is open from 2–6 pm on weekends and appointments-only during the week. A northern branch of the popular Gowanus original, this sunlit café scores with lunch items like a chicken-confit sandwich with bacon jam. Select dry goods, like sea salt and on-theme coffee-table books, round out the old Cape Cod feel. 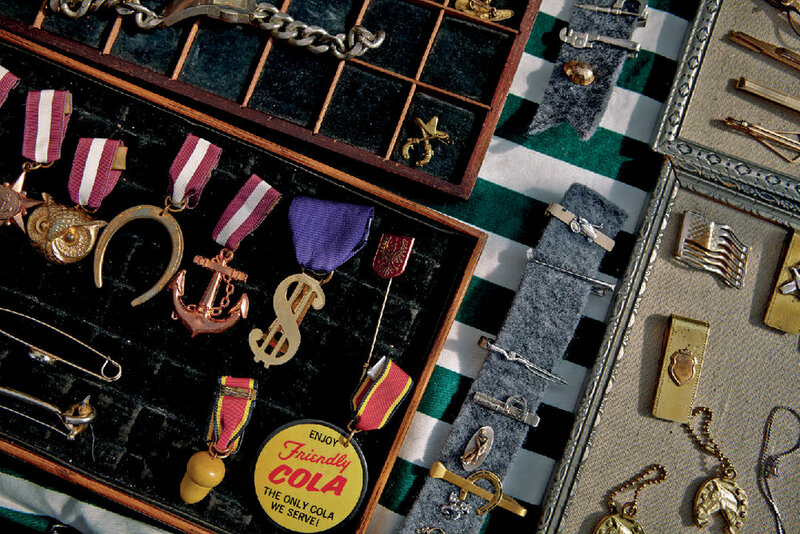 This treasure chest of vintage-inflected Americana has populated many a best-store list since opening in 2008. Owners Mary Brockman and Patrick Dacy source the merchandise (jewelry, animal skulls, Victorian bedposts) from Rust Belt towns, and present them in extra-tidy, plank-floored surroundings. This is the place to get antlers. Ask about the custom aprons. With its white-tile walls and marble counters, this year-old fishmarket and raw bar has an appropriately washed-down aesthetic. The founders make it their business to know the provenance of all their seafood, much of which is local, and serve up great fish tacos and lobster rolls. The trio of Italian owners put farm-sourced ingredients to use in Sardinian-inflected dishes: arugula gnocchi, squid-ink spaghetti, and leg-of-lamb cannellini with anchovy paste. In an original twist, there’s nightly live jazz on a sequined stage. Relocated to Brooklyn from London, this connoisseur’s boutique has everything a tea lover could want: hand-woven brass strainers, porcelain sugar bowls, and a fragrant array of loose-leaf custom blends that veer toward the dry and woodsy end of the flavor spectrum. Super-specialized options include rare sencha and a ten-year-aged white peony. Andrew Tarlow (owner of Marlow & Sons, Roman’s, and many other new Brooklyn classics) opened this bar just steps away from the Brooklyn waterfront, in a 1930s building that served for years as a haunt for dock workers. Now it’s an all-day tavern that serves up baked goods in the morning and, later on, liverwurst and pâté; the bar sees action pick up by mid-afternoon. Leftover décor from the original lends it the feel of a genuine shipyard dive. This top-notch bakery is catnip for savory-sweet fans. Go for broke with the Brooklyn Blackout Cake, an immersion in dark chocolate decadently packed with Ovenly’s own pudding-buttercream blend. Scones come in inventive flavors, like blue cheese–pecan, and no one would guess the chocolate-chip cookies are vegan. With its checkerboard floor and stunning floral wallpaper, Norwegian expat Nina Brondmo’s homespun café stands out in a neighborhood of salvage-furnished hangout spots. The design complements delicious baked goods like raspberry-pistachio spelt muffins and orange brioche. A hip husband-and-wife team sells a nice mix of crafty home goods: leather-seat campstools, indigo-dyed and western-inspired pillows, hand-glazed ceramic mugs. Cowhide rugs from Brazil are an exception to the pervading made-in-Brooklyn vibe. Frothy cocktails and live piano accompany the haute comfort food (chicken and biscuits with honey butter; steak frites with market vegetables) at this lively GreenPoint mainstay. Old movie-theater seats and Broadway props add a vintage-showbiz air. The custom pieces by this fourth-generation New York furniture maker are flat-out gorgeous, with midcentury proportions and a rawness that gives full attention to the exquisite details of the wood grain. Repurposed-industrial is the general vibe. Rare for the city, customers can watch furniture construction happen on-site. Delicious pies and irresistibly good vibes make this arguably Brooklyn’s favorite pizza joint — and a regular on best-in-the-city lists. The thin, Neapolitan-style crusts are both firm and foldable. 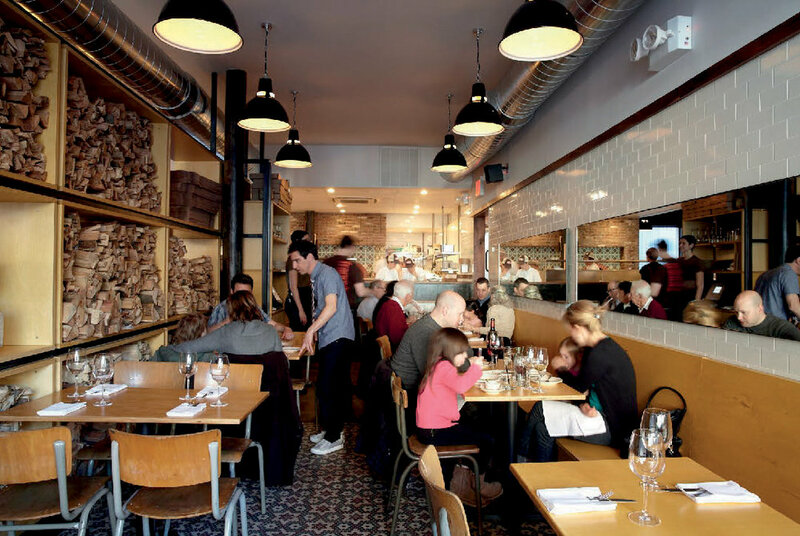 Andrew Feinberg and Francine Stephens source and combine top-notch ingredients with the best of them, and the entire operation is admirably eco-friendly. Be advised, the early crowd has lots of kids. Chef Sam Richman serves up excellent, straightforward Mexican at this haute-rustic restaurant near the Dumbo waterfront. The mezcal and tequila cocktails are more flamboyant than the food, and the michelada is perfect for a warm-weather drink on the patio. From the owners of Colonie. Vintage and modern furniture, home and personal accessories, and well-chosen menswear — everything from tufted leather sofas to washed oxford shirts — are sold here, in a beautiful space that resembles an old-time science lab. The company also runs a creative firm, evident in the expert arrangements. Vintage aficionado Hideya Sagawa’s boutique is the real deal: leather jackets, bow ties, brogues, sunglasses, Navajo jewelry, government-issued watch caps, and no display-only teases. (Many of the vintage items have never been worn.) There’s also, eccentrically, a great selection of houseplants. Hundreds of the borough’s best vendors come together for this weekend bazaar, from Asia Dog (with its classic kimchi and seaweed-flake hot dog) to ConRags, a preppy-vintage purveyor. 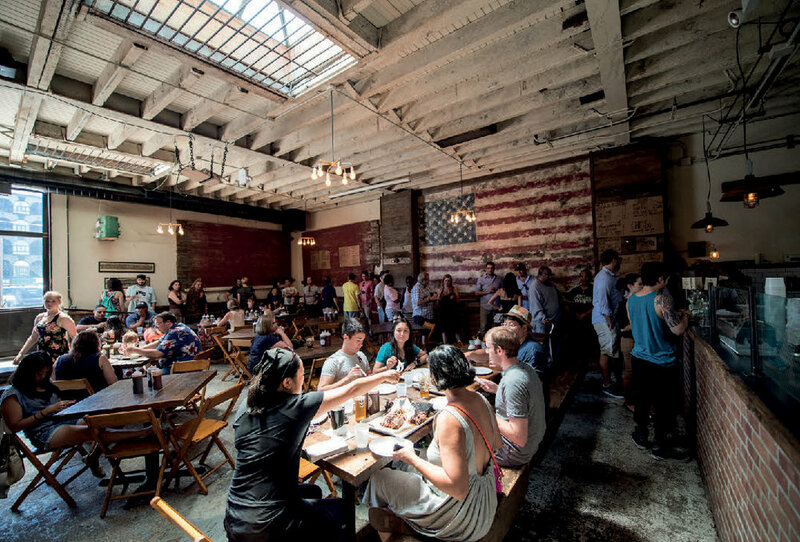 Arrive early, as this New Brooklyn ritual is a popular one. And there’s always good coffee on hand anyway. 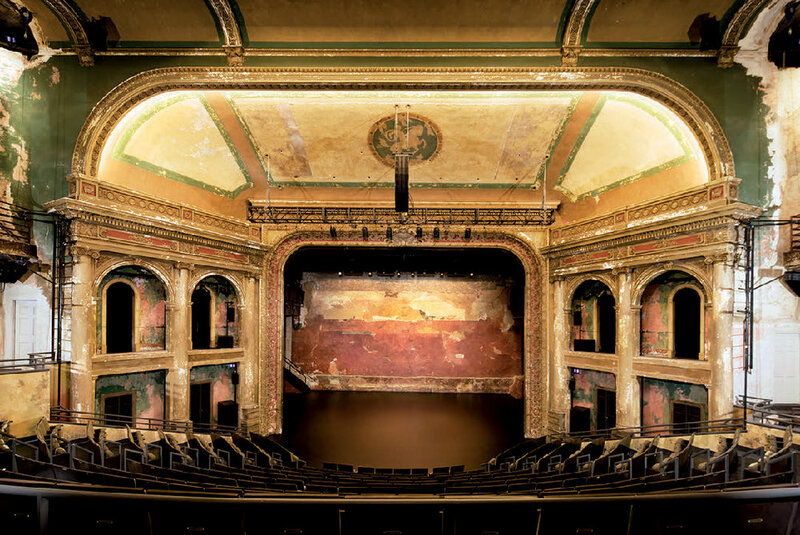 Much more than a music venue, BAM is the borough’s biggest and most established center for the performing arts. Indie films, modern dance, stand-up comedy, world-class theatrical productions — it’s all here. Last fall’s Next Wave Festival, an annual arts extravaganza, featured a reunion of modern music giants Philip Glass and Steve Reich and never-before-seen Warhol shorts. With a limited menu that changes daily, chef Dave Gould has won over an audience that’s willing to be surprised. His purist approach cuts out all but the most essential ingredients. Lunch might start with sardine and orange salad, proceed to butter-and-sage tortelli, and end with pork meatballs. The menu is Latin American and the back room appealingly greenhouse-like at this neighborhood favorite. Try the lamb sliders on Brazilian cheese bread, or the duck-confit tacos, made with meat that’s stewed four days. The banana cake with asado-smoked pecan frosting will satisfy any sweet tooth. Chef-owner Gabe McMackin learned his trade at such reputable outfits as Blue Hill, Gramercy Tavern, and Roberta’s. His seasonal, farm-to-table restaurant is one of the borough’s best. The wine list tops out at $60. charged based on how much is left in the bottle. Stodgy Brooklyn Heights has been slower than some of its neighbors to embrace the foodie scene, but you wouldn’t guess it here. Herbs line the wall, and smash hits like the ricotta crostini and tender skirt steak come out of an open kitchen. Anything woodsy — like bigoli with hedgehog mushrooms — is a good bet. and the popular “pretzel” dumplings. 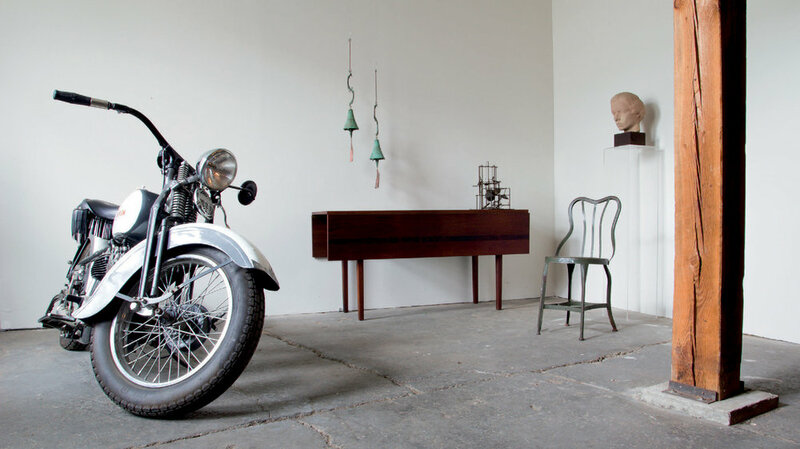 A Canadian former gallery owner is behind the nice range of modernist furniture and contemporary art here. 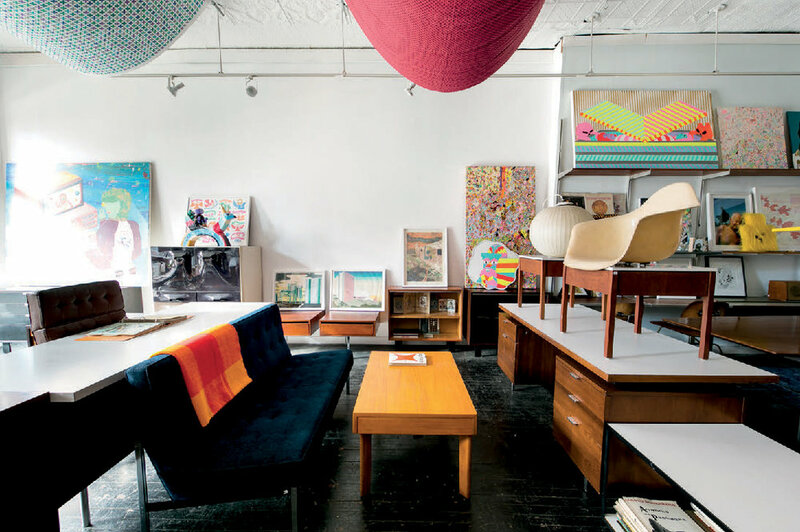 Think Knoll sofas, Eames chairs, richly hued Alexander Girard blankets, and punk flyers by Raymond Pettibon. This relative newcomer hits an elevated note you won’t find at Manhattan adventure hubs like Paragon and REI. Real-deal pocketknives and ultra-light equipment share space with Filson and Barbour pieces, hemp Jungmaven T-shirts, and hand-made ceramic mugs from Oregon. 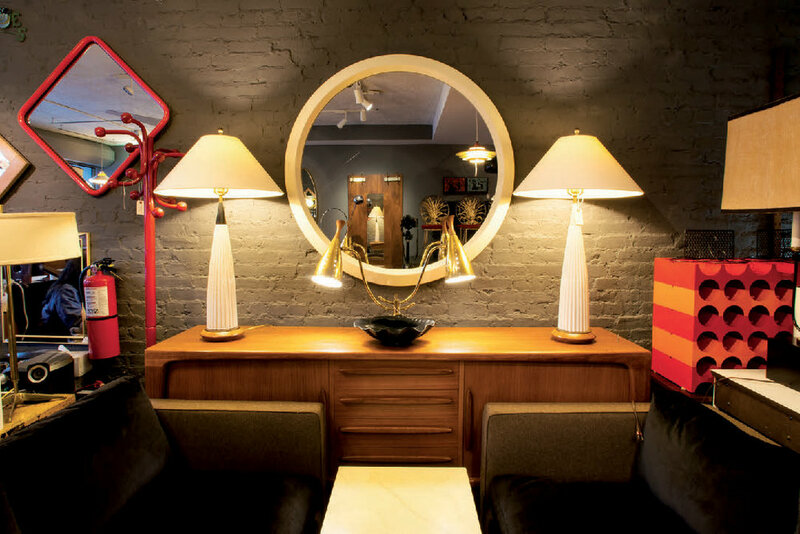 “Things unlimited” is the slogan at this husband-and-wife-owned vintage and design store, a standout of the Atlantic Avenue antiques row. Eclectic offerings include a six-foot-tall French birdcage, buffalo-hide buckets, and seating that ranges from velvet club chairs to industrial draft stools. The basement contains a workshop for basic custom shelving made from salvaged wood. Open since 2011, this little furniture emporium offers some of the best midcentury and Danish modern pieces around. Walnut side tables, Blenko glass decanters, capsule-shaped Swedish table lamps, and authentic folk art pieces are just a few of examples of the sweet craftsmanship here, which can take a quirky bent. Deep in Park Slope — Windsor Terrace, really — lies an unsung little restaurant that’s making a lot of locals happy. The house-made gnudi with corn and onions scores big, as does the skate po’ boy. With one coproprietor the owner of a wine shop across the street, the bottle selection here is a good one. Fourth-generation Brooklynite David Alperin’s concept store nods in subtle ways at his Spanish heritage, but this gallery-esque space is really about his discerning eye. He’s picked out brands like Naked & Famous, Norse Projects, and Crate Denim — but no more than a dozen clothing lines total — as well as stylish fine art, top-notch grooming products, and a savvy range of magazines. This clean-living kitchen caters enthusiastically to gluten-free, vegan, raw, and kosher diets. The solutions come in the form of shiitake bacon and alkalizing green soup, made from uncooked vegetables. And here, they’re also plenty tasty. 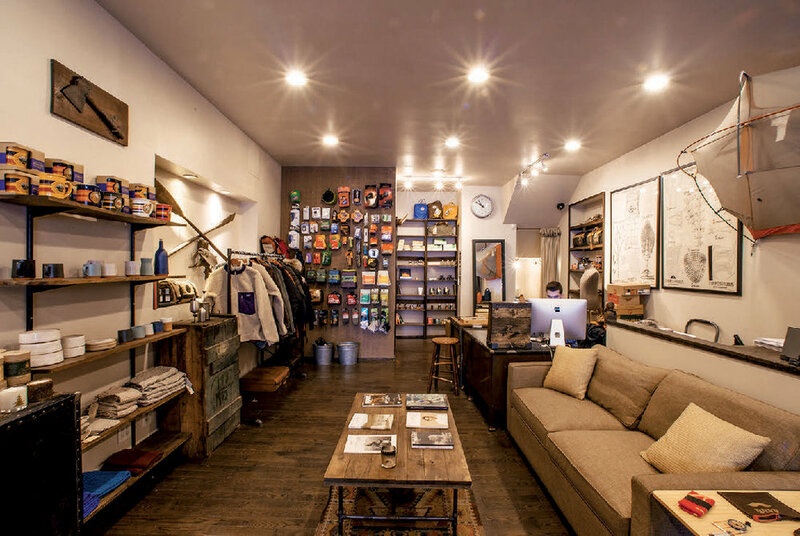 This sparely decorated, indie-oriented parfumerie sells great men’s stuff, too: Plant Brooklyn body wash, Penhaligon’s deodorant, Schaf face washes, and and buttery shave oil from Brooklyn Grooming that’s made from organic sesame and avocado oils. A paradise for kids — and nostalgic adults, too. Originally a 1920s apothecary (the original wood cabinets and drawers are still intact), this popular weekend and after-school spot now serves up old-time sodas, floats, malteds, and even that forgotten New York classic, the egg cream. (With a seasonal syrup option, no less.) The sundaes are knockouts, the broken-pretzel caramel one in particular. If there’s a single Brooklyn restaurant that gets everything right, this is it. With only thirty seats, Battersby is not the sort of place you can walk right into. It’s got the obligatory brick walls and pressed-tin ceilings. But secure a place here and you’ll soon be feeling a vibe so pleasantly convivial — stoked by the pleasures of veal sweetbreads à la meunière and pork-belly parmigiana — that you’ll swear you’re at a semi private event. Known for their mastery of the Italian American genre, Frank Falcinelli and Frank Castronovo here revive the Germanic stylings of the late nineteenth-century New York dining experience. Try the house-made wurst and especially the pretzels, with a side of roasted beet and carrot with cayenne-pepper cream. The meats are raised sustainably on small farms. Tables can be hard to come by, but the wood-paneled environs and vintage-inspired cocktails make it a pretty painless wait. The best pizza place in Brooklyn? As remarkable as the product is the fact that owner Mark Iacono had never made a pie in his life before opening this place (a favorite of Beyoncé and Jay-Z’s) a few years back in what used to be his favorite childhood candy shop. The crust is thin, the dough perfectly chewy, the tomato sauce from Iacono’s grandmother’s recipe. There’s nothing on the menu but pizzas and calzones. In a sweet touch, the place is BYOB. Kitted out with matching chairs and vintage-map wallpaper, this below-the-sidewalk restaurant serves up a stimulating blend of Italian and Middle Eastern cuisine. (Check out the pasta with lentils and gigante beans.) Chef Zahra Tangorra’s penchant for surprise ingredients adds a nice twist: there’s lavender-tinged jerk chicken, and the butter’s been spiked with Stumptown coffee. 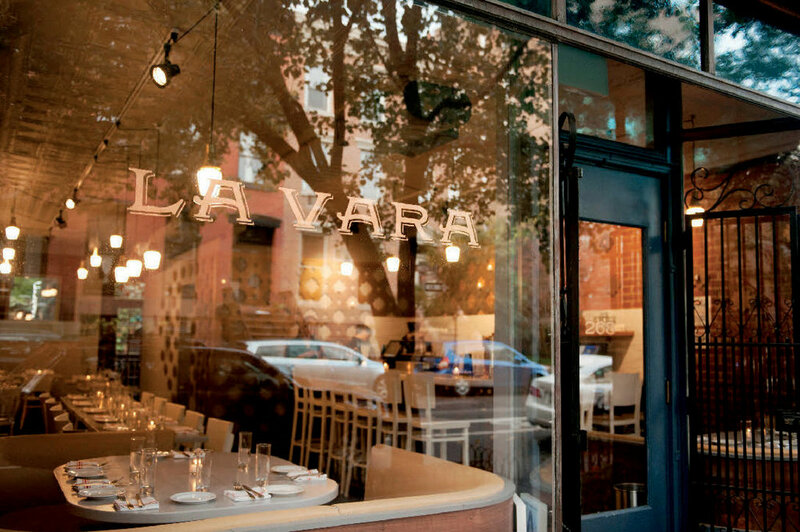 Proven tapas experts Alex Raij and Eder Montero turn out Spanish small plates with a heavy Middle Eastern accent. Not always pretty, the offerings are consis-tently delicious. Start with paprika-infused fried chickpeas. Go for any genre of croquette. Don’t miss the noodle paella, or the cumin-roasted lamb’s breast with a smear of date jam. The first American flagship of this noted international distributor and retailer popped up on the main Carroll Gardens drag about a year ago. Based in Bologna, Lavori has an exclusive licensing agreement with Woolrich brands and outright ownership of Baracuta, which makes for an excellent mix of heritage menswear in the boutique’s sunken back room. The shop also sells a nice mix of Barbour, Shinola, and other solid labels. Owner Noah Bernamoff puts a Montreal spin on the Jewish-deli renaissance — most notably with the smaller, denser (but nevertheless delicious) bagels. The foodstuffs here are smoked and pickled on-site, and the service friendlier than it is at Mile End’s old New York reference points. Try the matzo ball soup and the lamb merguez with hummus and harissa slaw. Or go big with the foie gras poutine. A headquarters of sorts for “brownstone Brooklyn” literary culture, this independent bookseller highlights titles by local authors and hosts readings by the likes of Richard Ford, Irvine Welsh, and 2013 National Book Award – winner James McBride. Bourbon lovers, take note. There’s American whiskey here of every age and type — 150 varieties total — and a complementary menu of excellent southern BBQ. Take that shrimp and grits, or sweet-tea–brined chicken, with an experimental flight: all the bourbons are available in one-ounce pours. Planted for multiple generations on the same quiet corner spot on a residential block, this unchanging neighborhood bar is about as authentic as they come. There’s a literary crowd, a pool table in the back, and elegant period details (like the carved-wood bar, imported from Germany in the 1870s). The jukebox has a great selection of jazz and classic rock. 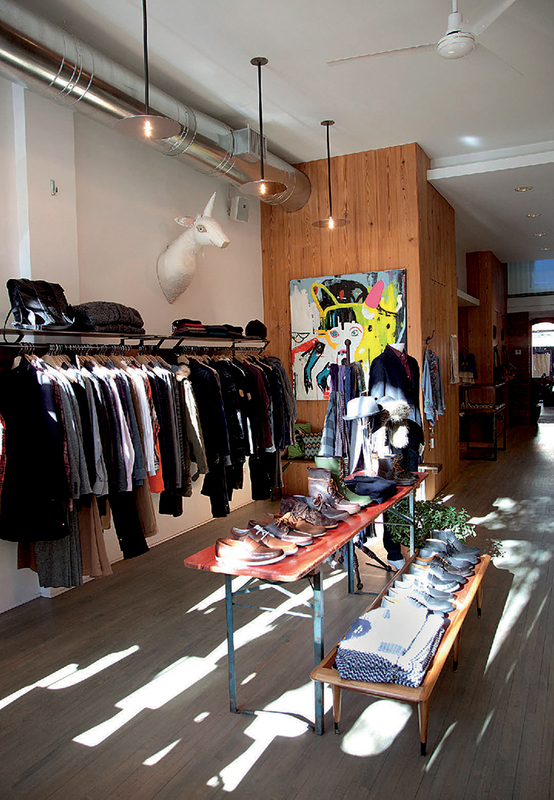 A successful e-commerce venture goes offline at this Red Hook boutique, a vintage shop with an emphasis on a bygone East Coast aesthetic. Think cracked-leather bombers, sturdy L.L.Bean boots, thirties Mackinaw jackets, and chunky animal-motif cardigans. Weekday visits are open by appointment only. Ingredients-driven cooking in post industrial Gowanus: Chef Poiarkoff serves up a daily-changing menu in a rag-tag space that resembles an abandoned cabin. Sample items include smoked-ricotta agnolotti with pear and chestnuts, and black bass with squash and kohlrabi. There’s also a nice variety of small-batch ciders and biodynamic wines. Red Hook often has an “Am I really in New York?” effect on visitors, and it’s in full force at this small, nautical-themed restaurant. There’s a beautiful garden dining space that doesn’t feel like anything in Brooklyn, and the Asian-accented menu employs ingredients sourced from — no kidding — a neighborhood farm. Former food writer St. John Frizell opened this local favorite in 2009 with humble aims: to provide his neighbors with “a good cup of coffee, a decent Manhattan, and a bite to eat.” It’s much more than that, with a rave-worthy burger and eye-openers like the Prescription Julep, with cognac and rye, and London legend Salvatore Calabrese’s Breakfast Martini on the cocktail menu. Not just an ironic reference to shuffleboard, but the real thing. There are ten lanes at this 17,000-square-foot rec hall, and the theme — retro Floridian, all Boca pastels and tropical flourishes — is executed with brilliant panache. A different food truck pulls up every night, to complement the craft beers (Smuttynose, Captain Lawrence) and well-made frou-frou cocktails. Officially a “center for arts and innovation” rather than mere gallery, this former iron factory delivers on its billing with ambitious exhibitions that go beyond traditional art and into the realm of cutting-edge science and ideas. Work may revolve around the geometry of beehives, for example, or images of 5,000-year-old moss. On-the-scene artist Dustin Yellin is the main force behind the space. The pit-smoked meats here are prepared over an oak fire on a pier three blocks away. The restaurant, an old garage, serves up incredible grub and (at a pair of bars) craft beers as well as a wide range of American whiskeys. The huge, peppery beef rib is a must-have. Artisanal frozen treats in a party-themed space. The flavor list includes Mexican hot chocolate, peppermint pattie, and a surprisingly rich coconut-fudge sorbet. Don’t leave without trying a scoop of the audaciously un-sweet salted crack caramel. This buzzy restaurant is out of the way, but worth it — especially for the pièce de résistance, rabbit marinated in duck confit and popping with Yemeni spices. Other hits include the kibbeh croquettes, with the lamb on the outside. Housed in a former glass factory, in post-industrial surroundings. Way out in Sheepshead Bay, this family-friendly Turkish restaurant specializes in fresh, lemon-drizzled whole fish and beautifully grilled meats. Try the homemade baklava for dessert. In summer months, this timeless pizzeria and ice-cream parlor becomes a quintessential Brooklyn hangout. Go for the nearly eighty-year-old establishment’s famous “sheets,” a Sicilian-style pizza done upside down. The meatball parm hero is a classic, too. The wait time can be up to two hours at this celebrated fifty-year-old pizza joint, routinely voted the city’s best. It’s worth it. From day one, proprietor Dom DeMarco has insisted on making every pie himself.